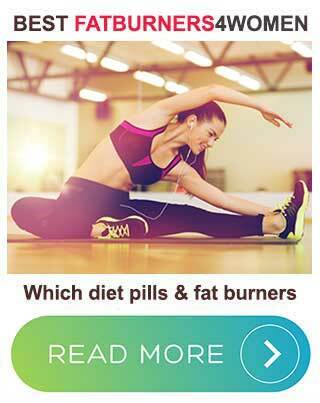 Elle Belle Ultimate Fat Burner is a British-made diet pill that can only be bought online. 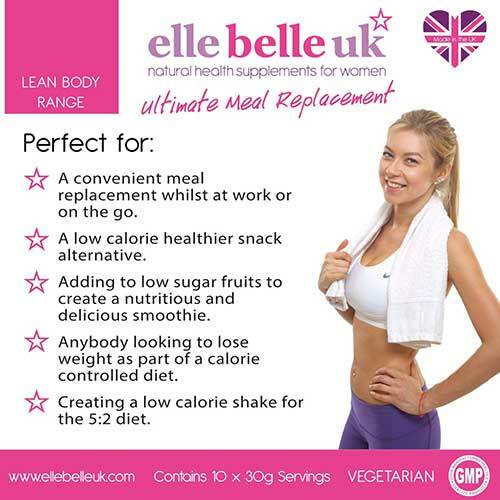 It’s one of many health and wellness products that have been brought to market by the Devon-based company Elle Belle UK and although the company’s pretty-in-pink approach to marketing suggests Elle Belle supplements are only for women, don’t be fooled. Men can use them too and the company makes no claims to the contrary. The brand itself looks great and has an obvious appeal to female dieters – this a trend that many manufacturers are adopting. Like any other fat burning diet pill formulation, Ultimate Fat Burner contains ingredients that are known to be capable of boosting the metabolism. This makes the body burn calories faster. Ultimate Fat Burner also contains ingredients that can raise the body temperature and cause the body to lose extra calories from the body as heat. 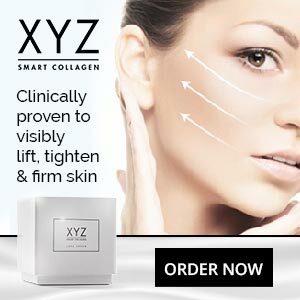 Products that work in this way are often termed “thermogenic fat burners” and, when supplies of calories run low, the body will have to start burning its stores of fat to obtain the energy it needs. Ultimate Fat Burner also has some ingredients that may further support weight loss by providing hunger control. Unfortunately, in a lot of cases, the amounts provided appear to be low. Glucomannan Powder (1000mg): A konjac root extract that expands and becomes a mass of gel when it comes into contact with liquid. When glucomannan is taken with sufficient water, it provides a stomach-filling effect that reduces the appetite. A dose of two capsules, taken three times per day it should work well because experts say a one gram dose is needed three times per day, but dieters who decide to use a lesser dose may not see much benefit at all. Bitter Orange Peel Powder (100mg): An ingredient taken from a species of orange called citrus aurantium. It provides the stimulant synephrine. Benefits include elevated energy levels, faster metabolism, and faster fat burning. Raspberry Ketones (60mg): A fat-burning phenol with huger curbing capabilities. Green Tea Extract (50mg): Although green tea is a respected fat burner, with scientifically-proven abilities, 50mg is not a lot. However, in this case, the extract used is alleged to have a similar potency to 500mg of normal extract. Caffeine Anhydrous (50mg): A fast-acting caffeine powder. Caffeine is good for boosting energy levels, enhancing mental focus, and also has pretty good credentials as a thermogenic fat burner. African Mango Extract (20mg): The participants in one study succeeded in losing four times as much weight as the placebo group. They did it by taking 300mg per day. A 20mg dose is unlikely to pack the same punch, but Elle Belle state the extract they are using is the same as 200mg of normal extract. Guarana Extract (22% caffeine) (10mg): A caffeine-rich berry extract. This is a low dose that’s claimed to be the equivalent of 40mg of normal extract. Siberian Ginseng Extract (10mg): A firm-favorite with practitioners of Chinese medicine, ginseng is a powerful adaptogen herb that can boost the health and invigorate the mind and body in numerous ways. The dose here is ridiculously low, but it’s alleged to be the same as 350mg of fresh herb. Capsicum Extract (10mg): A metabolism speeding red pepper extract that also helps people to lose weight by boosting a normal biological process called thermogenesis. A dose as low as this won’t cut the mustard, but Elle Belle alleges it has the same value as 80mg. Vitamin B6 (10mg): A vitamin that’s so important to energy metabolism it’s a key ingredient in all the top brands of energy drink. Choline (8mg): Supplementing with choline has been shown to boost weight loss, but only in doses of 200mg per day. Zinc (4mg): A testosterone boosting mineral. Although testosterone is often considered a “guy thing” women need it too and low testosterone levels have been linked to weight gain. Piperine (3mg): An alkaloid taken from black pepper. Piperine is added to all manner of supplements because it increases the bioavailability of the other ingredients it’s blended with. Chromium Picolinate (50mcg): Chromium is an incredibly popular diet pill ingredient. Most of the best weight loss products contain it but the amount provided is generally a little higher. However, the dose provided may deliver some level of benefit by bringing post-eating insulin levels under control and preventing the blood sugar spikes that can result in sudden desires for food that is high in sugar and/or starch. Iodine (30mcg): Iodine is sometimes added to diet pill formulations because iodine deficiency can retard normal thyroid gland function. This can make the body more prone to weight gain than weight loss because the thyroid manufactures thyroxine and other “T-Hormones” that are necessary for a fast metabolism. Customers are told they must take three doses per day on an empty stomach, 30-60 minutes before food or exercise. They are given the choice of taking three one-capsule doses or three two-capsule doses and are advised to swallow the capsules with 8oz of water. Unfortunately, the glucomannan content will not provide maximum benefit unless the maximum dose is taken and a higher quantity of water would be required to fully hydrate the fibers. Ultimate Fat Burner is intended to used in cycles of six days one followed by one day off and 12 weeks on followed by 2-3 weeks off. We were unable to find any Ultimate Fat Burner customer reviews. Elle Belle encourages all new users to consult a doctor prior to commencing supplementation. They also point out long-term use of high doses of Vitamin B6 can cause numbness and tingling sensations. You can only buy Ultimate Fat Burner from the Ultimate Fat Burner website. It holds the distinction of being one of the cheapest diet pills on the market, but there are only 90 capsules per bottle. That means customers who take three two-capsule doses per day will find a bottle does not last long. Reducing the dose will increase the number of days a bottle lasts, but it will also reduce the level of benefit provided by glucomannan. Customers have 60 days to return unopened products and ask for a refund, but there is no money back guarantee. Despite the assurances Elle Belle makes over the potency of many of the extracts they are using, we still have our doubts about its ability to deliver good weight loss results. 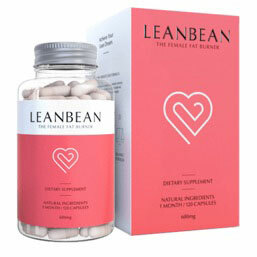 It may offer the most value as an appetite suppressant but, even then, the usage guidelines fail to provide dieters with instructions that are likely to help them get the maximum benefit from the glucomannan the pills contain. The high dose of Vitamin B6 also presents some degree of concern and the fact that the pills cannot be used for more than six days per week is not ideal because maximum progress will require maximum fat burning every day. A product such as this could see people making two steps forward and one step back. It’s not without potential, but it’s strictly low-league stuff and does not compare well with any of the leading weight loss products.